What's Causing the Roof to Leak? 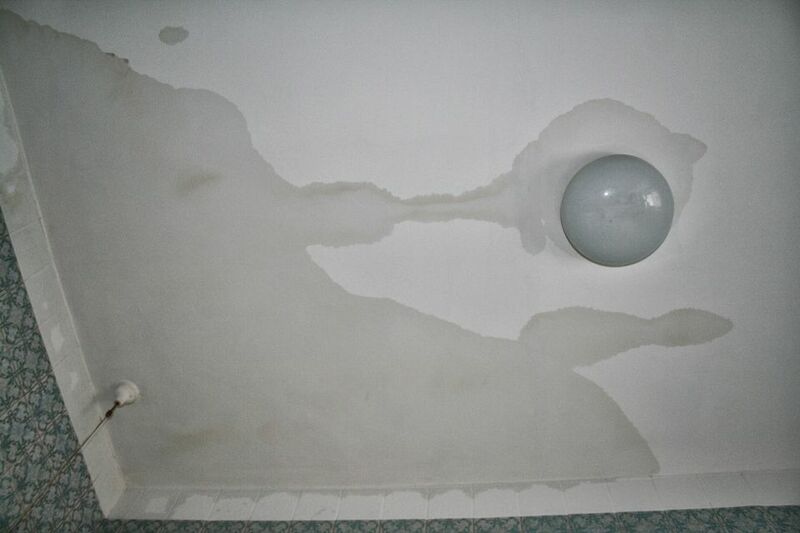 Roof leaks present multiple challenges for homeowners. They never occur at a time which is convenient and they can lead to significant damage to the interior of your home. Their effects can linger long after the repair has been made in the form of mold growth on the interior surfaces of your home. Sometimes determining the source of the roof leak can be an even greater challenge. The source of the roof leak on the outside of the home rarely matches where the leak appears on the inside of the home. This leads to a good deal of frustration for the homeowner who is attempting to repair it. Locating the source of a roof leak is not an exact science. It is a process of elimination due to the fact that a roof leak may have several contributing factors and may not always be the direct result of one specific problem associated with your roof. What Are the Ideal Conditions For a Roof Leak Investigation? It's best if you can see the leak as it occurs. In order to trace a leak back to its original source, it helps to visually see the active leak instead of depending on the remnants of the leak such as staining on the ceiling. Stains can be used to locate roof leaks, but they may not reveal the entire story behind the roof leak. In order to see the leak occurring it will be necessary to trace the leak during a rain or snow event. If this is not possible, it may be necessary to conduct a water test on the roof surface by saturating the suspected area with a garden hose for a period of time until the leak occurs on the inside of the home. Begin by locating the leak on the inside of the home. Confirm that the source of the water on the inside of the home is a result of a roof leak and not due to a problem associated with other components of the home. Other sources of potential leaks in the home include plumbing, roof scuppers, roof drains, HVAC, and condensation. Once you have determined that the leak is caused by a roof related issue, measure the location of the leak in the living space from two fixed points. These fixed points can be perpendicular exterior walls, a fireplace chimney or other components that extend through the finished ceiling to the attic space or roof surface. Go into your attic and locate the source of the leak on the underside of the roof deck using the measurements taken from your home’s living space. Review the active leak and note the surface where the leak is dripping from. The location of the actual entry point of the water into the attic space may be slightly different than where the leak is showing on the interior of the home so you may need to expand your search area once you are in the attic. Measure the location of where the water is entering the attic space from two fixed points. Look for fixed points such as vent pipes for bathrooms, chimneys, or vents. If these roof penetrations are not available, base your measurements on two perpendicular exterior walls. Safely gain access to your roof and apply the measurements taken from the attic space to the roof surface. You will need to adjust your measurements to take into account the depth of the exterior bearing walls and soffit overhangs if your measurements were based on the location of exterior walls. Locate the approximate location where the water is entering your attic space. Begin to work outward in concentric circles from the location where you determined the leak is occurring. As you review the roof remember that any opening in the roof system is an opportunity for water to enter your home. If the roofing materials show any openings where water can penetrate your home’s building envelope, this will result in a roof leak. In order to complete an effective repair on your home’s roof, it is necessary to determine the cause of the leak. It is also important to properly prepare before attempting any roof repairs to ensure you know what materials to use and what steps to take. By following these basic recommendations you will be better equipped to determine the cause of your roof leak and apply a correct and cost-effective repair. Without proper leak investigation, repairs may be made to the roof system which is not effective and waste money and time and which may lead to more damage to the home’s interior. Does Your House Have a Roof Ridge?